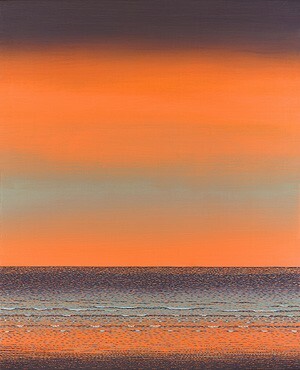 copyright Carson Collins, 2002-2007 The Ocean Series is a Remodernist response to the color-field paintings of Mark Rothko. 20" x 30" format ink-jet POSTER signed by the artist. This is very haunting and beautiful - a kind of eerie beautiful. There was a Rothko contest near here recently. Artist Reply: "A Rothko contest"? What do you mean?